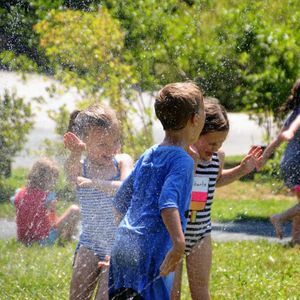 CAMP POLLYWOG II: "Animal Friends"
From frisky foxes to timid turtles, the Arboretum is home to countless animal friends! We’ll spend the week discovering where they live, what they eat, and why they’re so amazing. Along the way, we’ll build like beavers with sticks and mud, catch crayfish with our “raccoon paws,” and teeter on a balance beam vulture-style. Healthy snacks, crafts, games, and lots of sunshine will be part of each day’s fun.